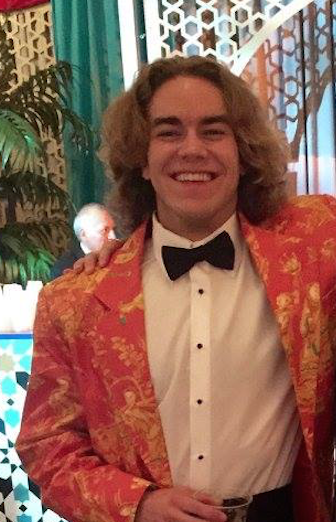 Jack Braumuller is a junior at Georgetown College majoring in Government, with a minor in Philosophy. His academic interests focus on international relations, environmental sustainability, and philosophical inquiry. He was born in the campus hospital, but raised in the suburbs of New York in lower Westchester County. In his last two years at Georgetown, Jack has worked for Dr. David Miller at The Edmund D. Pellegrino Center for Clinical Bioethics, as a research assistant. He is going to New Zealand for some international adventure and perspective, and is focused on having an immersive experience in a place that is new and different to him. He is excited to share his photos and experiences on the OGE blog! From Shepherdstown, West Virginia, Evanthea (who prefers the nickname Evie) is a junior in the College double majoring in history and art history, with a minor in Modern Greek. On campus, Evie is the research assistant to Professor Chester Gillis (formerly the Dean of Georgetown College), and is involved in GUCD and the Hellenic Association. She plans to utilize Bath’s strategic location in the southwest of England to explore many important historical sites, visit London, and journey throughout the gorgeous British countryside. Evie also has an ancestral tie to England, and she is eager to learn as much about English culture and customs as she can in order to reconnect with this aspect of her family history. Although Evie is a bit anxious to spend an entire semester away from home, she is very much looking forward to this unique experience. Nicole Howard is a junior from St. Paul, Minnesota. She is majoring in Chinese and Mathematics When she's on campus ,she works at Midnight Mug and is also a part of the bible study, GU Sisters of Christ. Having studied Chinese for the past 6 years, she is very excited to make her first trip to China. This fall she is studying Chinese at Minzu University in Beijing where she hopes too eat as much dumplings and noodles as she can! Alex Prior is a rising junior in the School of Foreign Service, majoring in Science, Technology, and International Affairs (affectionately known as STIA) with a concentration in Global Health. She hails from the beautiful city of San Francisco, California, and will be studying abroad in the fall semester of her junior year in Rabat, Morocco! She is beyond thrilled to have the opportunity to study abroad in a country that has been on her "travel bucket list" for years, and is excited to use her French language skills in a broader academic context. She is also excited about the couscous eating that she will be doing. 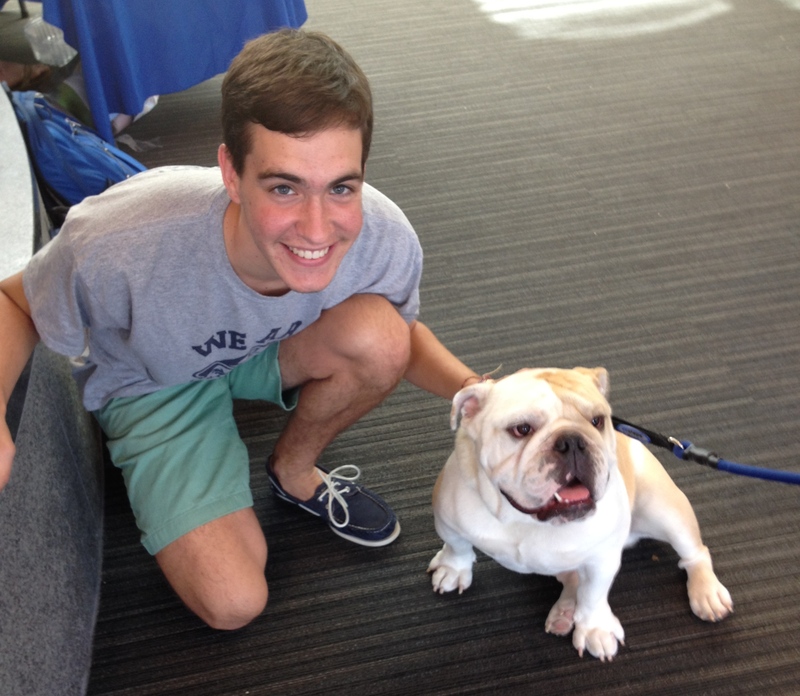 On campus, you can find Alex tabling for Hoyas for Choice, giving campus tours to prospective student as a part of the Blue and Gray tour guide society, or trailing behind the Georgetown Running Club at their daily practices. Fingers crossed that she can find some running routes in Rabat! Katherine Cienkus is a junior in the School of Foreign Service majoring in International History and focusing on religion and politics in the Middle East after World War I. She hails from Glenview, Illinois and in a complete 180 degree switch will be studying for the entire 2016-2017 academic year at Pembroke College at the University of Oxford. There, she will be studying history and politics, specifically the border formation of the modern Middle East after the fall of the Ottoman Empire. Through her work at the Berkley Center for Religion, Ethics and World Affairs, she has found herself increasingly interested in theories of peace building and the role of interfaith dialogue. Having read and learned so much about the world, she has surprisingly seen very little of it. Thus, throughout the fall semester she hopes to blog about attempting to become a Brit and the new academic life and people she will be engaging with at Oxford. 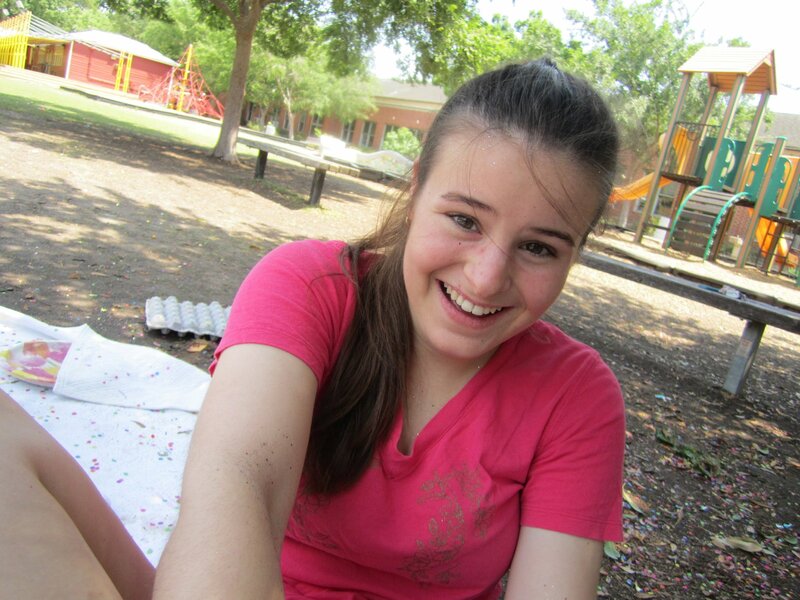 Outside of the classroom, Katherine enjoys reading The New York Times, eating baked goods, running, and singing. Mattie is a Junior in the College studying Government with a double minor in English and French. Originally from Cleveland, Ohio but having grown up abroad in Turkey and the UAE, she fell in love with traveling early on and can't wait to explore many new places while studying in France. At Georgetown, Mattie just ended her term as the President of the College Democrats and is involved in the Philodemic Society, GUSA, and MUN. In addition to the incredible history and culture to be found in Paris, she hopes to eat as much bread and cheese as possible and wow Parisians with her (hopefully rapidly improving) language skills. Jesse is a junior in the College, majoring in Government and double minoring in Economics and Theology. 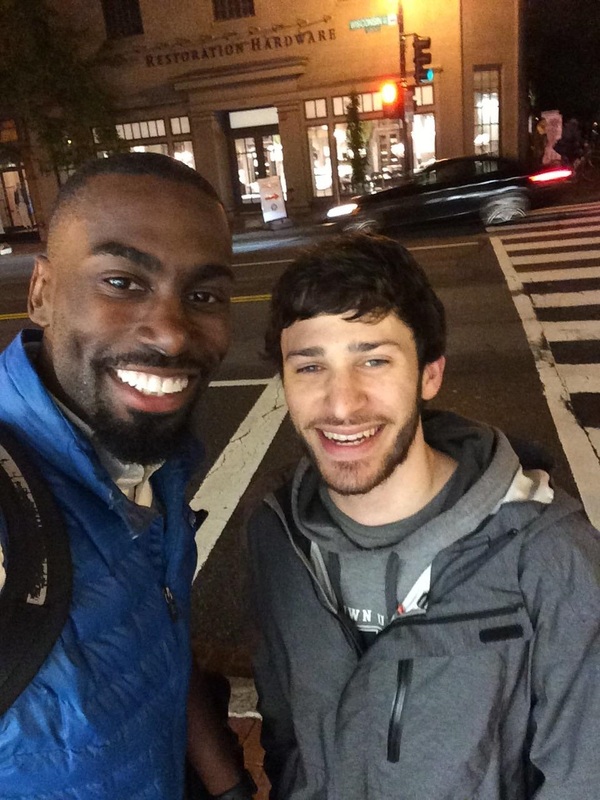 On campus, he is a student manager at the Healey Family Student Center, news writer and Editorial Board member of the Hoya, member of Alpha Epsilon Pi Jewish Fraternity, serves as the Vice President of the Pre-Law Society, as Research Chair of the Georgetown Israel Alliance, and as an ESCAPE leader. This spring, he will be studying abroad at the Advanced Liberal Arts Program in Seville, Spain and will likely be found exploring the many religious prayer spaces found in the city or enjoying a churro near the river. Alexis is a Junior in the College studying English and Government. She will be studying abroad this Spring in Bath, England. On campus, she is a tutor at the Writing Center, a peer facilitator for A Different Dialogue, a music assistant for Campus Ministry, and is the co-chair of MEChA de Georgetown. In her "free" time, she enjoys eating ice cream and singing all of the lyrics to Hamilton. She is so excited to be in Bath this semester and to immerse herself in a new culture and meet new people. 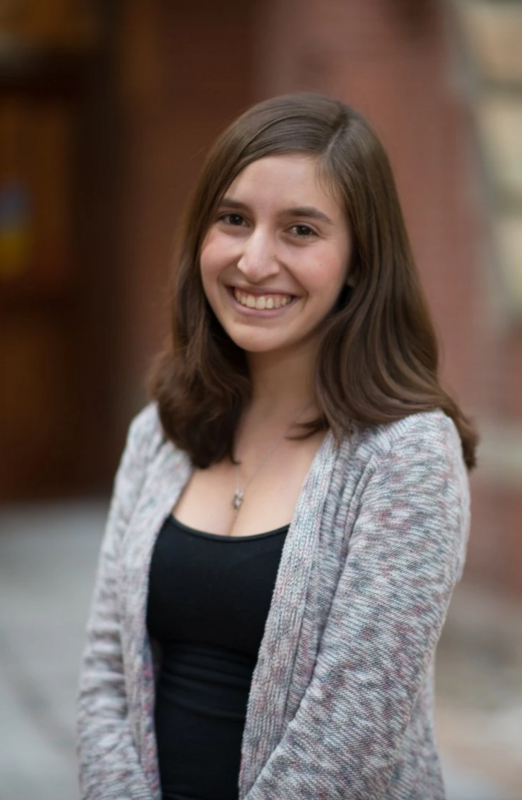 Andrea is a junior in the SFS studying International Politics, with a minor in Chinese and a certificate in Jewish Civilization. 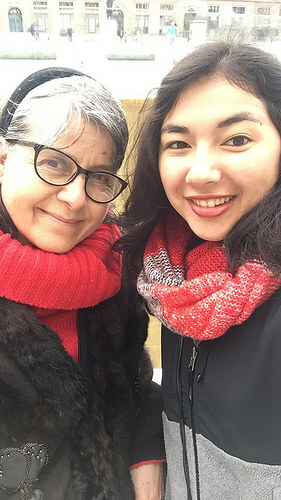 She lives in New York City and hails from a French-American background, but China has captured her interests since she started learning Chinese in 2006. She is studying abroad in Beijing, China, participating in the ACC program at Minzu University. 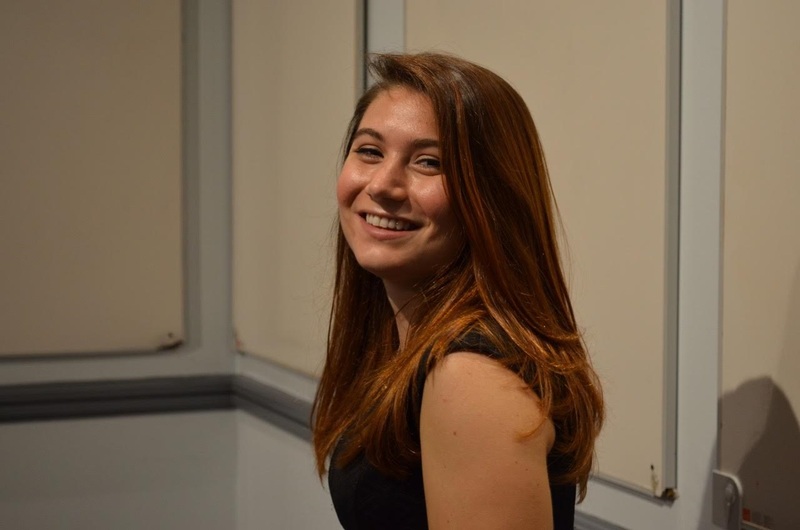 On campus, Andrea works at Uncommon Grounds and spent 2016 as Editor-in-Chief of The Caravel, Georgetown's weekly international newspaper. She has been looking forward to studying abroad in China since before she even applied to college, and is most excited to experience Chinese New Year traditions first-hand. 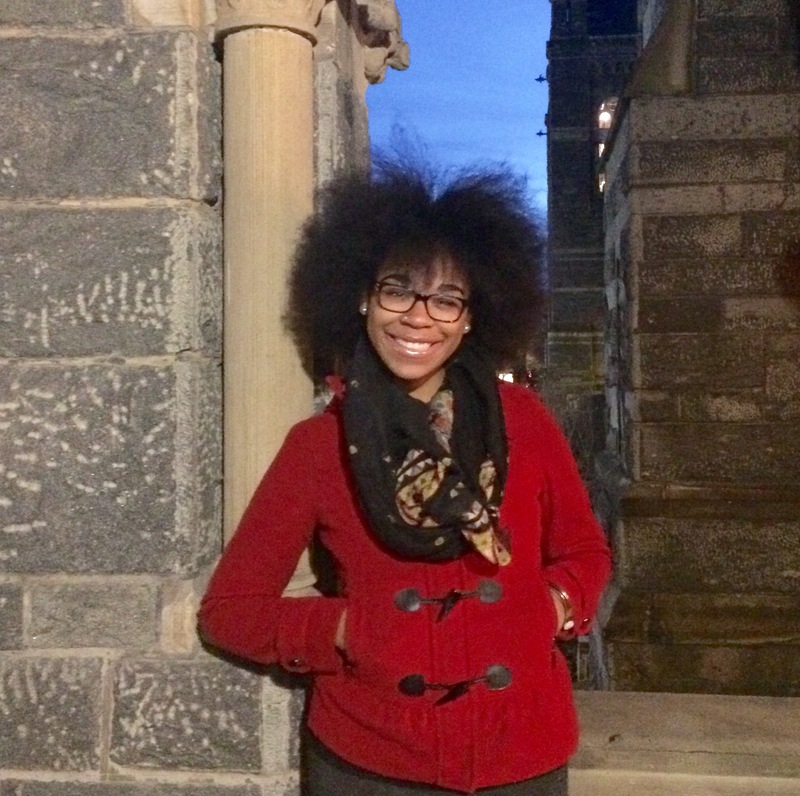 Whitney is a Junior in the College from New Jersey studying Justice & Peace and Math. While it may sound like an odd combination, she's very interested in the intersection of social justice in STEM since they often come together in ways that can address disparities and inequalities. Some of Whitney's other interests include writing, fitness, and watching TV. She's is also interested in learning and all things related to art and creativity. 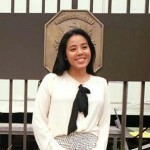 In the future, she hopes to combine her majors to increase educational opportunities for disadvantaged students. Eileen is a junior in the College majoring in Biology and minoring in Art. When Eileen is not studying, she loves to stay active with martial arts (Judo or Krav Maga, anyone? ), yoga, and running as well as drawing and designing art pieces. Part of her desire to study abroad in Australia is because she can easily imagine herself strolling through the warm climate and navigating through unforgettable scenery. 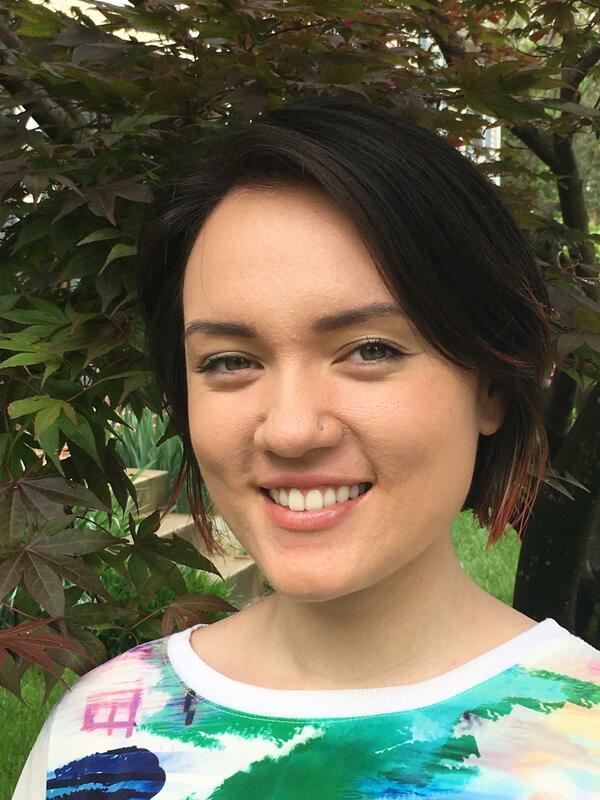 In Australia, she hopes to study the biological effects of urban lifestyles on both mental and physical health as well as on the environment. As an artist, she hopes to open her mind to new perspectives on culture, ethics, and visual communication. Another aspect of her trip that she particularly looks forward to experiencing is the unique culture that derives from a rich history of settlers and indigenous peoples and East/South Asian influence. Eileen looks forward to encountering the Aussie way of life at the University of New South Wales and writing about how her experiences develop her perspective as a whole. Susannah is a junior in the School of Foreign Service majoring in International Politics with a certificate in Women's and Gender Studies. 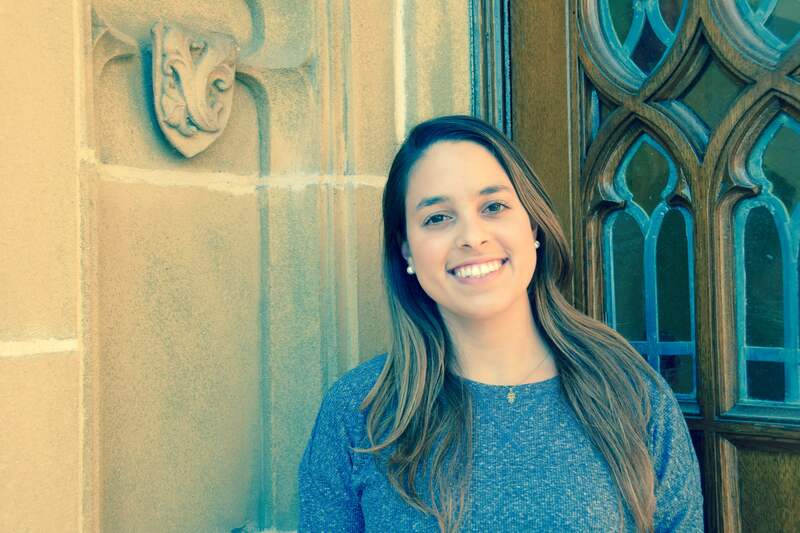 She is from the great state of Texas and will be studying at Universidad Pontificia Comillas in Madrid this semester. On the Hilltop, Susannah is a part of the Institute for Politics and Publics, a consultant for Hilltop Consultants, and a member of Delta Phi Epsilon. She looks forward to improving her Spanish (it's so-so right now), exploring the Prado (she would really be an art history major), and eating tapas. 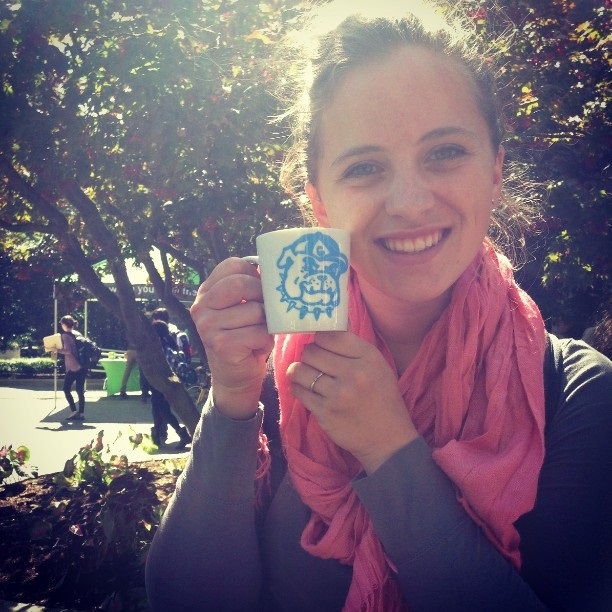 Susannah read the OGE blog as a prospective student and is so excited to have the opportunity to contribute. 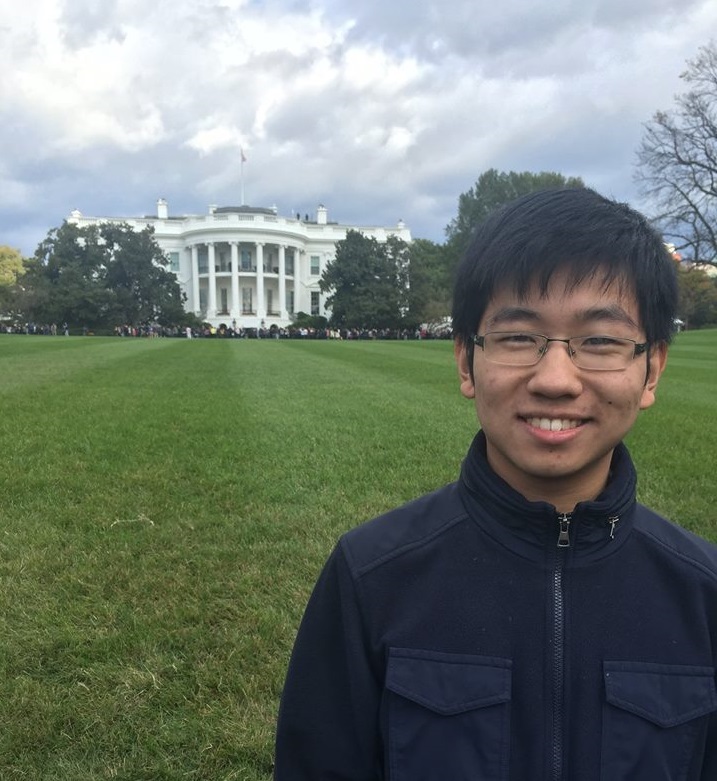 Nicholas a junior studying Chinese with minors in government and psychology. He is participating in the ACC Program at Minzu University, Beijing. 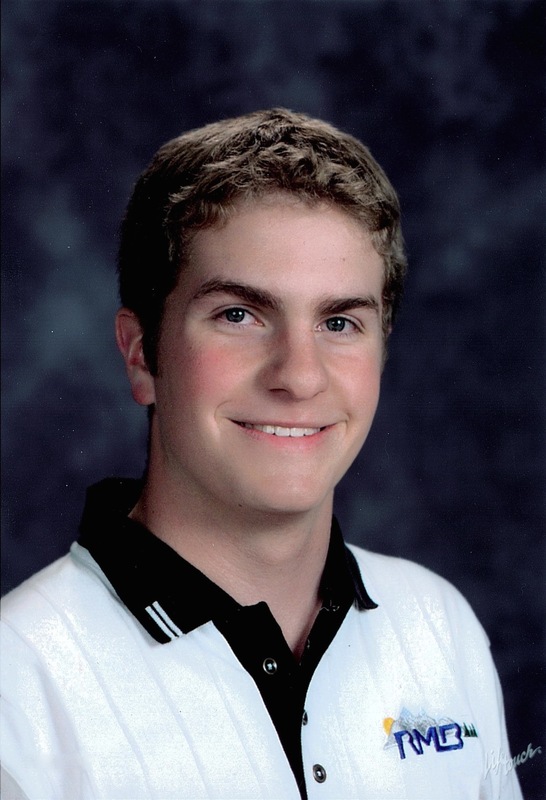 Born and raised in Colorado, Nick is an avid skier and also enjoys camping, hiking, and recreational flying. At Georgetown, Nick is involved with several groups, including the GU Grilling Society, the GU Mexican Student Association, and InterVarsity Christian Fellowship. This is his first visit to China, so he is eager to improve his Mandarin skills while experiencing firsthand the culture, food, and lifestyle of Beijing with his classmates and host family. 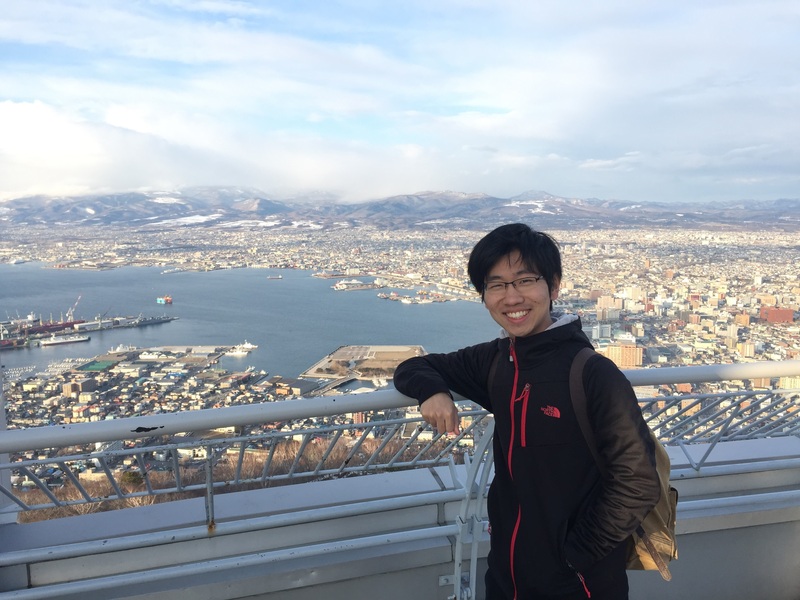 Having studied international development on his gap year with Thinking Beyond Borders, he hopes to draw connections between his studies and the challenges surrounding the significant social and economic changes occurring in China. Katherine is a junior in the College majoring in Justice & Peace Studies with a concentration in Health & Justice and minoring in Biology. She dreams of becoming a doctor so that she can keep exploring the endlessly intersectional fields of social justice and healthcare. Katherine cannot wait to compare and contrast the Danish healthcare system with the American healthcare system. She hopes that her broadened perspective will help her as she leads an alternative break trip focusing on health disparities to NYC next spring. Katherine will miss searching for mermaids and sharks with her students as a swim instructor at Yates. She will also miss many Georgetown communities like GIVES, DC Schools, Project Sunshine, and FOCI. Katherine’s prospective Danish adventures include but are not limited to: getting kaffe (coffee) with a Dane, gazing off the cliffs of Jammerbugten, marveling at the wonders of European transportation, and making new friends. My name is Ian, a native Chicagoan 20 years of age and an incoming junior at Georgetown University. I am a history major and philosophy minor obsessed with all types of music and hold a craving to discover new places never seen by me or any of my peers, such as South Korea. I will be studying my fall semester abroad at Yonsei University in Seoul, South Korea as a history major and will make my way around East Asia throughout my time overseas. I have zero experience with the Korean language and culture, so I am in for one wild rollercoaster of a ride. Noah is a junior in the College majoring in history and minoring in journalism and theology. He is from White Plains, NY. On the Hilltop, Noah helps edit the Georgetown Voice and spends a lot of time in Lauinger Library, which he is sad to be leaving for a semester. Despite not speaking a word of Hungarian, he’s eager to get to know get lost in Budapest. Moreover, Noah is excited to be living and observing in Hungary at a time of great change in that country and the broader East-Central Europe region. Patrick is a junior in the School of Foreign Service majoring in Culture and Politics focusing on environmental issues in the Middle East. He hails from Easton, Massachusetts, and on campus can be found at the Office of Sustainability trying to fix bicycles, giving admissions tours, or on first floor of Lauinger Library trying to find innovate ways to memorize Arabic vocabulary. 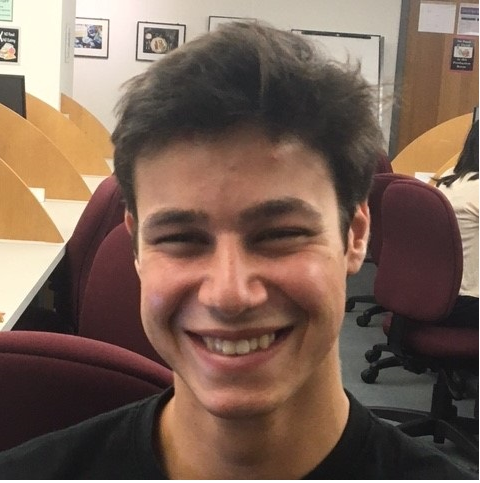 Having struggled through Arabic for 5 semesters at Georgetown, he can’t wait to finally put his Arabic skills to use whilst living with his host family, navigating the streets of Amman, and making new Jordanian friends over Hookah. Patrick hopes to better understand how environmental conflict has contributed to instability in the region and the extent of Syria’s refugee crisis and it’s impact on Jordan. Read about his adventure – promised are humorous self-deprecating comments on his Arabic speaking skills and run-ins with Jordanians who just don’t know what to make of him. Barbara is a junior in the SFS majoring in International Political Economy with a certificate in Latin American Studies. At Georgetown, you can find her tossing the disc with the Ultimate Frisbee team or at a concert with friends. She is a member of Georgetown Solidarity Committee, Active Minds, and a writer for The Georgetown Heckler. Barbara Anne can’t wait to explore the natural beauty that the Dominican Republic has to offer and to trade the brutal DC winter for a more tropical climate! She looks forward to exploring the intersections of migrant and racial justice in the DR and to learning about how these play into the unique Caribbean identity in a Latin American context. Hopefully she will emerge from her study abroad a professional merengue dancer—but no promises. 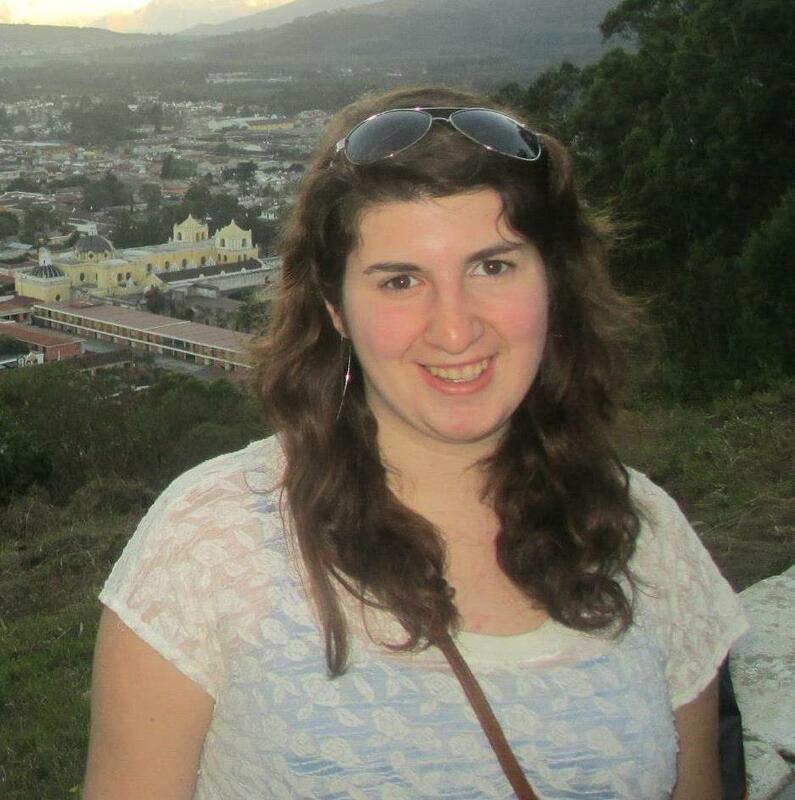 Kate is a junior in the college majoring in American Studies and minoring in Classics. She hails from Philadelphia and is spending this spring semester at Georgetown’s Villa Le Balze in Fiesole. She enjoys geeking out at ruins, getting lost, and eating great quantities, all interests which she hopes to pursue in Italy. Since all of her knowledge lies in Ancient Rome, Italy’s modern incarnation will be a wildly new adventure. Back on campus, she’s leading an Alternative Spring Breaks trip to New Orleans, plays on the club lacrosse team, and works for a social justice initiative. She can’t wait to leave her star-spangled comfort zone and see what Florence has in store. Originally from Los Angeles, California, Bethan is a junior in the School of Foreign Service. She is majoring in International Politics with a certificate in African Studies. Following her interest in sub-Saharan Africa, she will be studying abroad at University of Cape Town in Cape Town, South Africa. 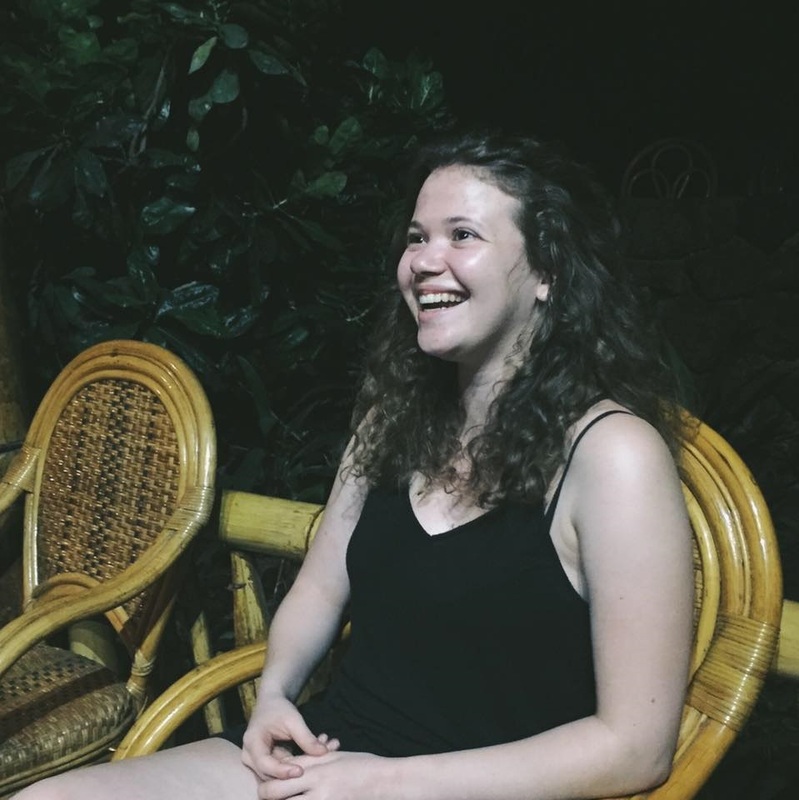 In addition to taking classes on South African government and politics, Bethan will be continuing her research on gender and transitional justice as an Undergraduate Research Fellow with the Mortara Center for International Studies. At Georgetown, Bethan is part of the Georgetown University Student Association, the Institute for Politics and Public Service, and the foreign service sorority, Delta Phi Epsilon. 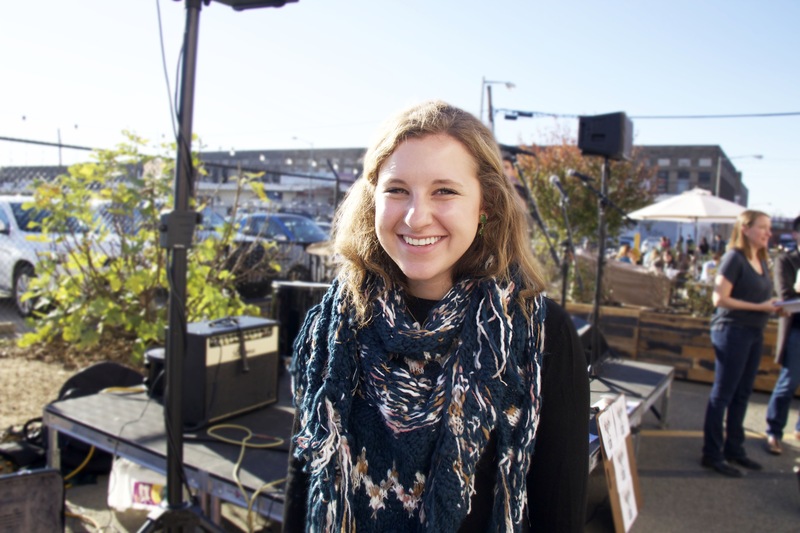 Outside of classes, Bethan is a member of Chi Alpha, one of Georgetown’s Christian ministries and hosts a weekly radio show featuring swing and jazz music. While she will certainly miss life in DC, Bethan is looking forward to expericing life abroad in such a dynamic and vibrant country like South Africa. 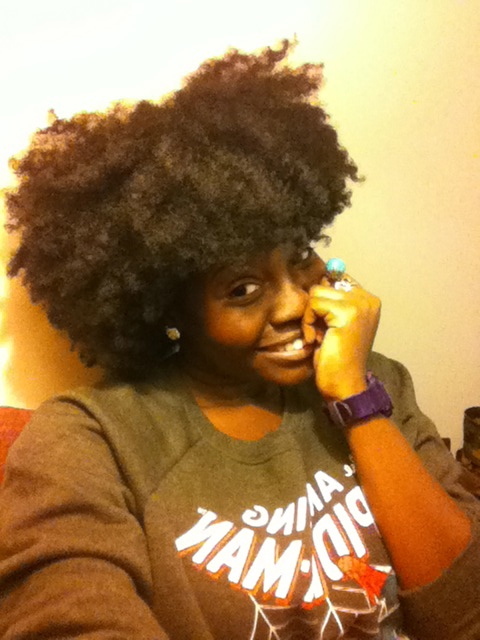 Angela is a rising junior in the College, majoring in Sociology. 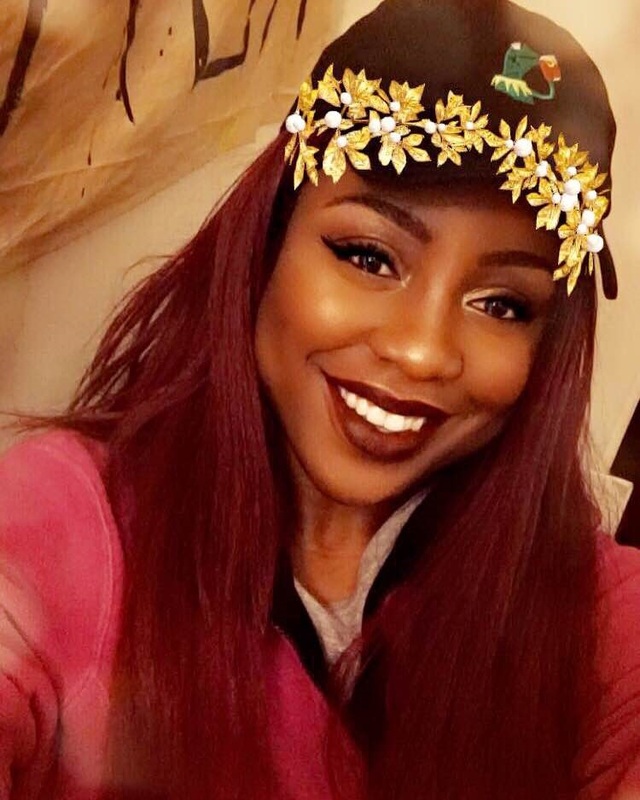 A native of Oak Park, Michigan, Angela enjoys writing poetry, reading books, and vibin to good music. At Georgetown, she is the co-director for Georgetown University’s Corpus Collective, the premier spoken word group on campus, and is a mentor for four underclassmen. She is looking forward to studying at University of the Western Cape in Bellville, South Africa. Aside from studying, she plans on writing poetry, taking fantastic pictures, and living in the moment. This will be Angela’s first time outside of the country and she is excited to share this journey with you. Emily is a junior in the School of Nursing and Health Studies majoring in nursing and also completing the pre-med requirements. She is originally from Georgia and has a strong appreciation for good food and the outdoors. She looks forward to exploring Ireland and hopes to play basketball at UCD. (She is a captain for the Georgetown Women’s Club Basketball Team.) Emily’s study abroad experience will revolve around clinical rotations in both private and public Irish hospitals. She will complete Care of the Adult (Medical/Surgical) and Mental Healthcare while in Ireland. She is eager to compare and contrast the healthcare delivery system of Ireland with that of the United States as well as learn cultural competence by caring for Irish patients. Caroline (MSB ’17) is a native of Virginia horse country and is excited to trade cupcakes for cannolis while she studies abroad in Italy this semester. She is a Finance and Marketing major who is looking to get in touch with her creative side by exploring art and architecture in the Renaissance city of Florence. While the DC area has always been home to Caroline, she can’t wait to reside in a new city. She looks forward to wandering the streets of Florence, ducking into gelaterias and indulging in Italian cuisine along the way. 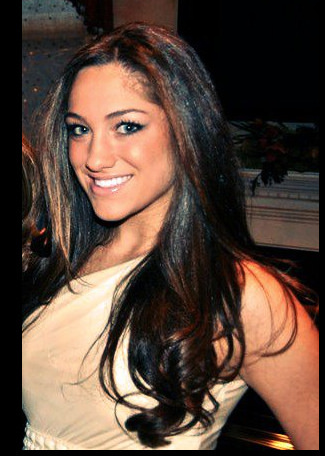 Nicole is a native New Yorker, majoring in Government and Justice & Peace Studies as well as minoring in Spanish. She will be spending her fall semester in Madrid, studying at the Universidad Pontificia Comillas. 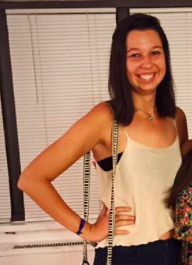 At Georgetown, Nicoleplays club soccer and loves to treat herself to cupcakes. Next spring, she will be leading an Alternative Breaks Program trip to the Rust Belt. The trip will focus on the urban renewal efforts led by individuals, communities, and government to revive these Midwestern cities. Nicole looks forward to experiencing Madrid in its entirety, learning how to cook traditional Spanish meals, navigating the Metro, and studying Spain’s unique political climate while living in the country’s capital. 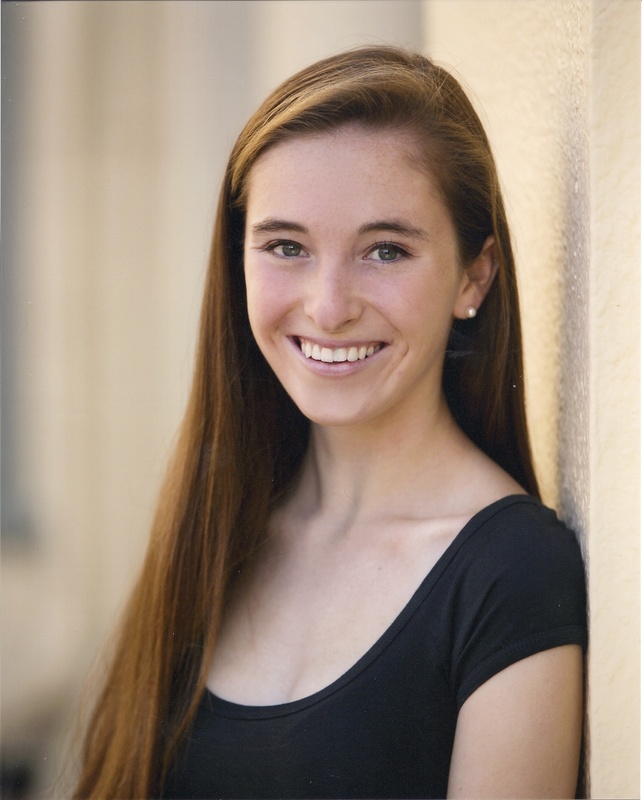 Misty is a rising junior in the McDonough School of Business, majoring in Finance and International Business. 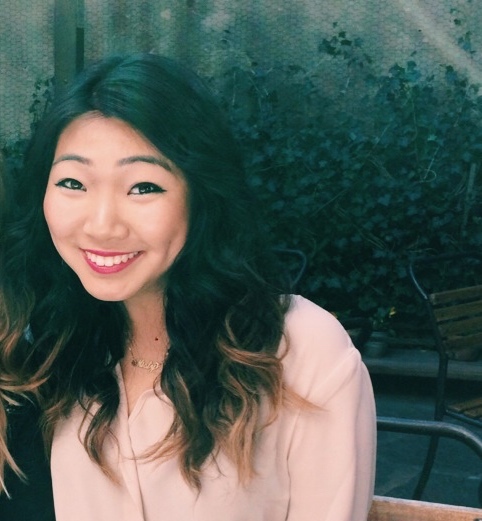 A native of Silicon Valley, Misty loves creative ideas, cool people, and cold-brewed coffee. To get her fill of all the above, she is traveling to Copenhagen, Denmark with DIS for Fall 2015. At Georgetown, Misty organizes initiatives as the co-Vice President of MSB Academic Council, designs solutions with Hilltop Consultants, and owns it with the lady mafia team of the OWN IT Summit. She intends to spend her days in Copenhagen taking classes and mastering the Danish letter “Ø” and her nights eating local dishes, hitting up neighborhood music venues, and holing up in quaint cafes. Her current goals include learning how to use Danish to order her complicated coffee drinks and keeping her Instagram game strong abroad: @mistyness. Matt is a junior in the School of Foreign Service studying International Politics with a Concentration in International Law. Originally from Bloomfield Hills, Michigan, he is thrilled to be in the Middle East for the first time, studying abroad at Georgetown's School of Foreign Service in Doha, Qatar for the fall semester. Matt's extensive travel experience in Europe, Central America, and China led him to Georgetown to study International Affairs. He never stops appreciating being in Washington, DC at the center of it all. While at Georgetown, he's developed a passion for fostering religious toleration in the Middle East and improving the lives of those living in developing countries. Outside of school, Matt participates in Bible study, plays piano, and actively follows professional and college sports. Nikki is a junior in the College pursuing a History major with concentrations in Latin America and Europe, as well as minoring in Spanish. Originally from Long Beach, California, Nikki is an avid traveler and is looking forward to experiencing life abroad for an extended time in such a unique country. She is excited to give the Georgetown community a glimpse into what Cuba is really like, especially at this time of historical trasition. 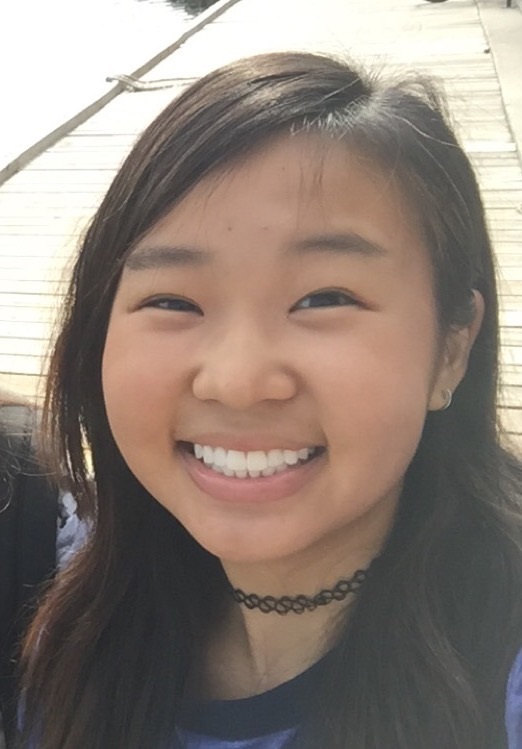 Caroline is a Florida native majoring in Chinese and Government and minoring in Korean in the College. She spent her junior fall in Beijing, China and now is spending the spring in Seoul, Korea. 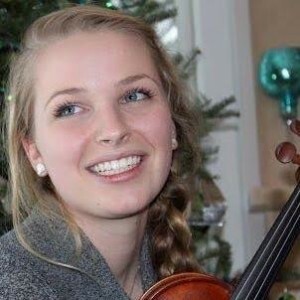 At Georgetown, Caroline plays in the orchestra and spent the last year working for the OGE. 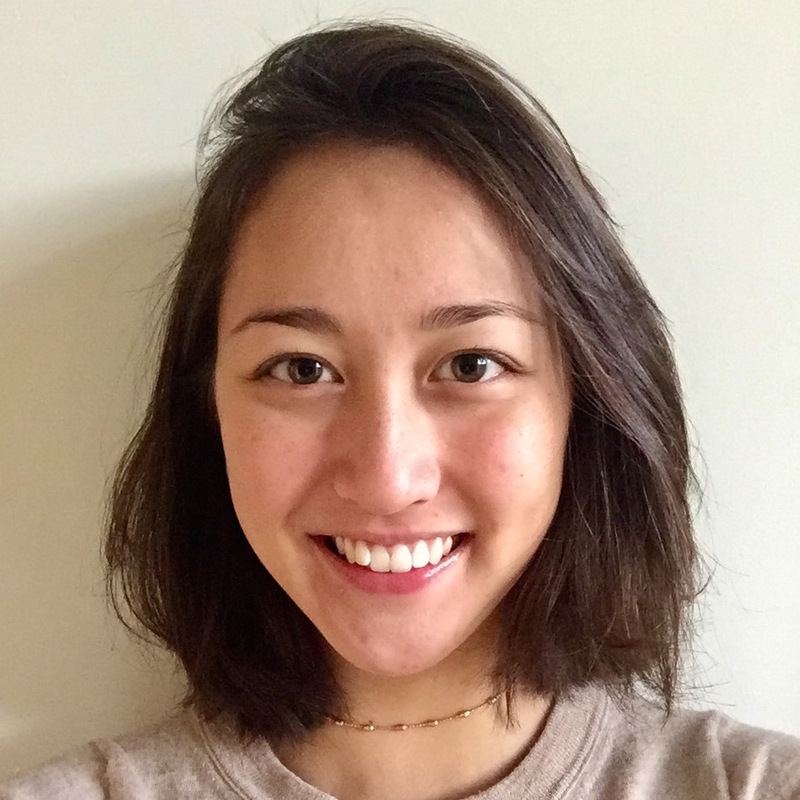 Caroline looks forward to volunteering with North Korean refugee children in Seoul to gain insight for her future (dream) career in international human rights. 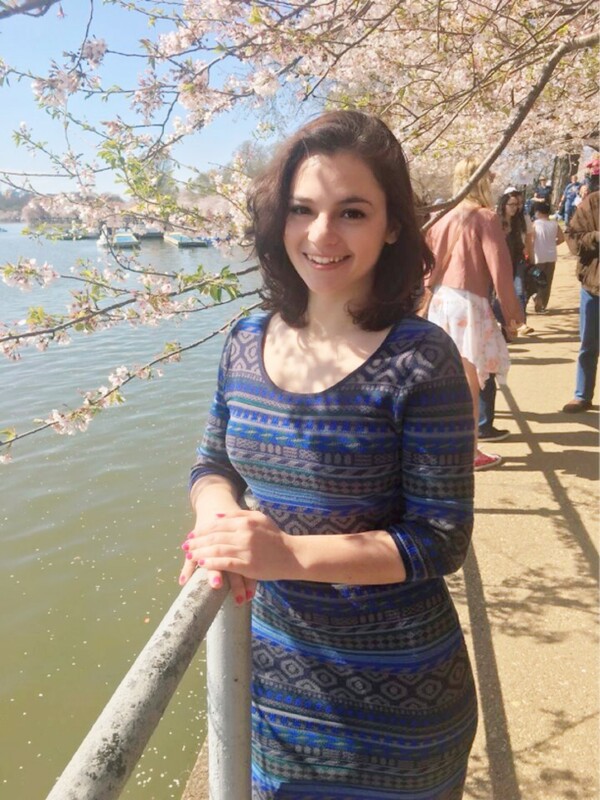 liana is a junior in the College studying Environmental Biology and Women’s and Gender Studies. 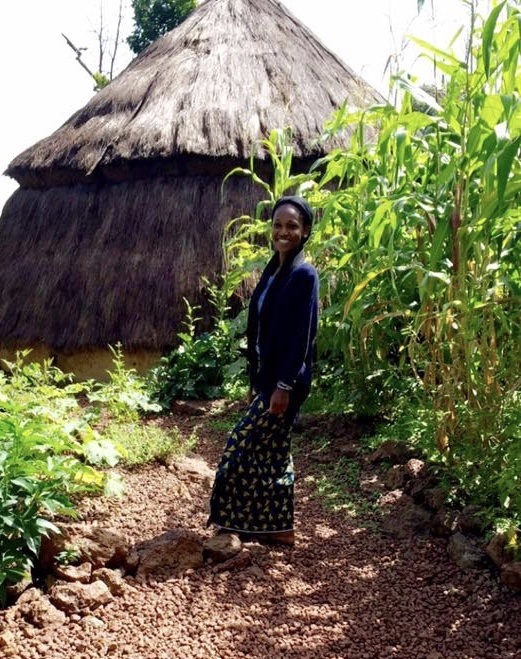 Her interests lie in understanding the intersection between gender and sustainable livelihoods. She enjoys participating in any outdoor adventure activity, trying new foods, and learning from new cultures and people. Thrilled to be in Melbourne, Australia, she is eager to engage with a very progressive culture in the city with the world’s best coffee and many diverse views on life. Plans to learn about the conservation efforts in Australia’s unique landscapes and aquatic wonders are also in the works! Katherine is a junior in the College studying Biochemistry, with a minor in Mathematics. At Georgetown, she does research in a biochemistry laboratory and plays club volleyball. She is originally from Salt Lake City, and loves to hike mountains and read. 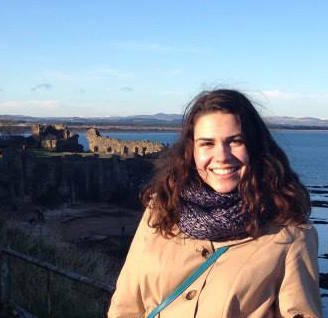 Katherine is excited to explore the city of Edinburgh and scenic Scottish highlands, as well as travel through the rest of Europe. Allison is a junior in the College majoring in Biology of Global Health. A native of Maine, she enjoys hiking, playing the violin, and listening to country music in her spare time. At Georgetown, Allison works as a teaching assistant in the biology department, conducts cellular biology research, and volunteers as an emergency medical technician with GERMS. She aspires to eventually attend medical school and pursue a career in biomedical research. 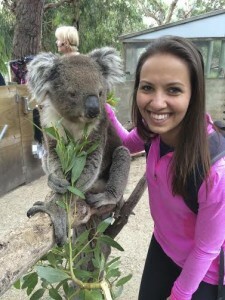 This spring semester, Allison is studying in Australia at the University of Sydney, and she is so excited to be sharing her experience through the OGE blog. She is looking forward to adopting the laid back Aussie way of life, trying her hand at surfing, and traveling around Australia! Samantha is a junior in the School of Foreign Service, majoring in Culture and Politics. She hopes her studies in 'cultural identity in international development' will land her a job working hands-on to help developing countries. She loves to be active and involved, but this year Samantha is taking a break from her packed interning-working-tutoring-step-team-captain life at Georgetown to drink tea in Africa - Morocco in the fall and Senegal in the spring. She is excited to work on her French proficiency and to return to DC with a few new languages under her belt (or at least the basic phrases)! 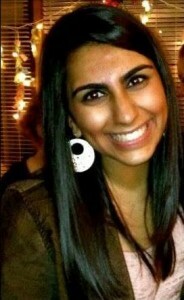 Bardia is a sophomore in the School of Foreign Service (SFS) majoring in Science, Technology, & International Affairs. His interest in foreign affairs and international security has lead him to work as a project leader for the Georgetown Global Microfinance Initiative and a research assistant for the Government Department at Georgetown. A reader and writer in his spare time, he hopes the city of Paris, which inspired Camus, Hemingway, and Fitzgerald, will get him to do some writing of his own. Or at least provide a nice backdrop for a semester of writer's block. Bardia has pent 20% of his life in London, 30% in Ithaca, NY, and 50% in Cleveland, OH. He is 100% Persian. Allie (College '16) hails from the Philadelphia suburb, Cherry Hill, NJ, and is beyond excited to begin her adventure in Florence, Italy during the 2014 fall semester! 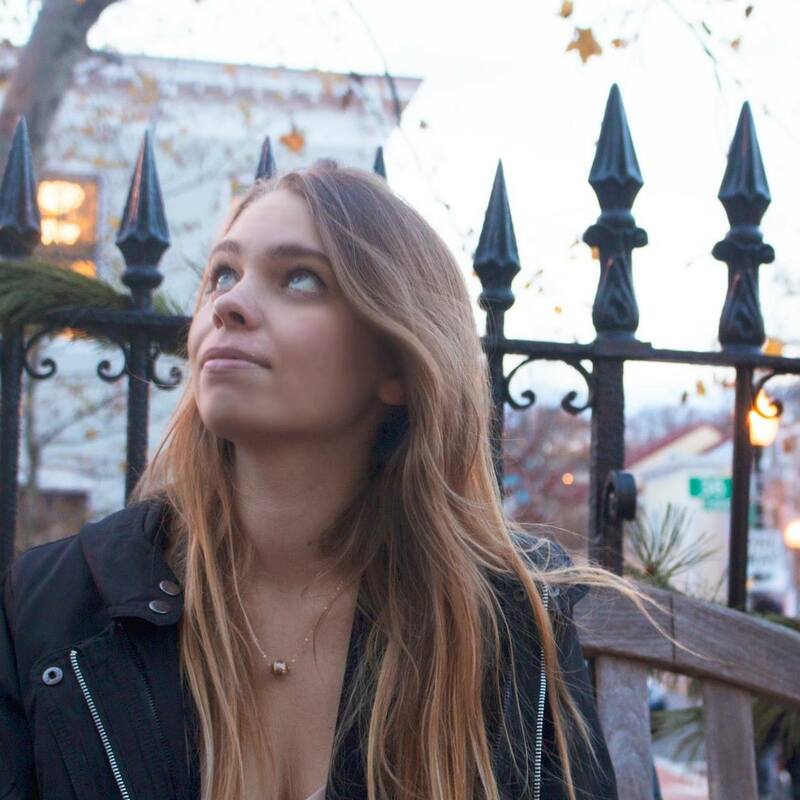 Majoring in English with a double minor in Journalism and Business Administration, Allie has been a senior writer for the online magazine, HerCampus Georgetown, and can't wait to continue blogging for OGE. When she's not hammering out a last minute paper, you can find her cheering on the Philadelphia Eagles or singing with the a cappella group, Superfood. While abroad, Allie hopes to fix Jersey's reputation with the Florentines (thank you Jersey Shore Season 4), eat a lot (A LOT) of pasta and pizza, and fully immerse herself in a culture that is so unlike her own. 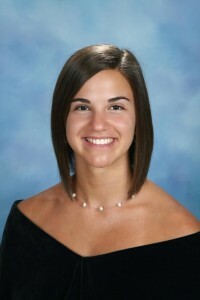 Meagan is a junior in the McDonough School of Business, majoring in International Business. From Los Angeles, she loves enjoying the outdoors and eating her way through new cities. Why Edinburgh? Well, they speak English for one, and two, the city is a cultural hub where ideas and thoughts are constantly being exchanged. Excited to live in a foreign country, Meagan hopes to capture at least some of her experiences in writing. Looking forward to some meat and potatoes. Molly is junior in the School of Foreign Service studying Science, Technology, and International Affairs with a concentration in Energy and the Environment. 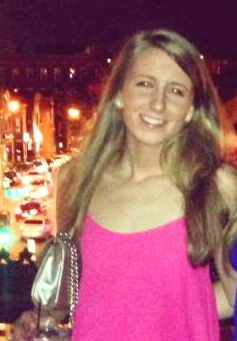 Molly hails from St. Louis, Missouri and is a huge fan of the 11-time World Series Champion St. Louis Cardinals. She will be studying abroad in Córdoba, Argentina for the Spring 2014 semester, spending three days a week studying at la Universidad Católica de Córdoba and two days volunteering with a community in the city. A devout Catholic, Molly is excited to explore Argentine Catholicism in the wake of a homegrown pope, as well as liberation theology and comparative poverty. Most of all, she looks forward to grilling red meat, talking about philosophy, and collecting all the ridiculous Pope Francis memorabilia she can. Zoe is a junior in the College majoring in Psychology and French. This academic year at she has been greatly involved in the African Society of Georgetown as well as The Fire This Time, Georgetown’s online multicultural newsmagazine. She has recently discovered her love for blogging, and is excited to document her adventures in Senegal. She is hopeful that this study abroad experience will expose her to a totally different culture and lifestyle from that which she is used to in her home country, Ghana. Read about Jordan's experiences in Lyon. 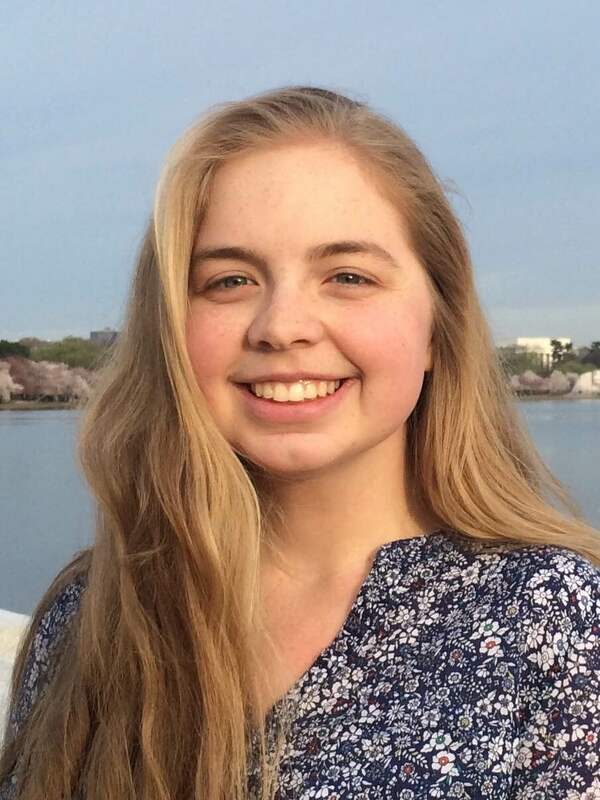 Katie Jane is a Junior in the School of Foreign Service majoring in Culture and Politics with a focus on the cultural roots of government types. She is originally from Houston, Texas where she likes to reinforce state stereotypes by horseback riding and using the pronoun "y'all." She is looking forward to traveling to Buenos Aires, thus successfully eluding winter weather of any kind for almost a full year. 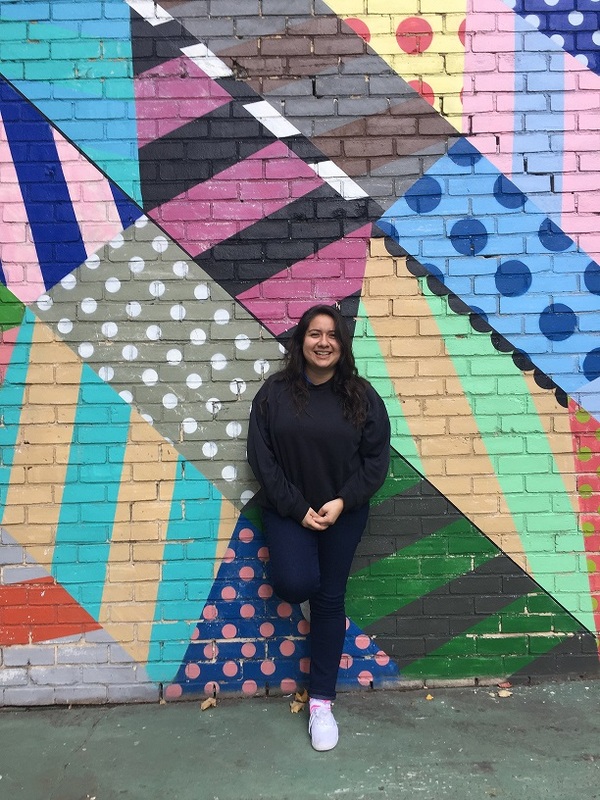 Having only learned about the richness of the Argentine political landscape in the classroom, and through newspapers, she is excited to finally be able to experience it for herself. She is also very happy to get the opportunity to share her excursions and adventures on the OIP Blog and with its readers. Read about James' experiences abroad in Shanghai. Noreen is a junior in the School of Nursing and Health Studies (NHS) majoring in Health Care Management and Policy and double minoring in Spanish and Theology. On campus, she is part of the South Asian Society (SAS) Board and also engages in several inter religious efforts, such as serving as the Chair of the Interfaith Student Association this past fall. She also enjoys spending her time as a Blue and Gray Tour Guide on campus, teaching many prospective students about the little-known facts of Georgetown. Noreen hopes to become fluent in Spanish when coming back from her study abroad experience in Madrid and learn specifically about the theological underpinnings of the country in present time. Advanced Arabic Language: Amman, Jordan. Read about Anastasia's experiences abroad in Amman. Read about Elizabeth's experiences abroad in Dakar. 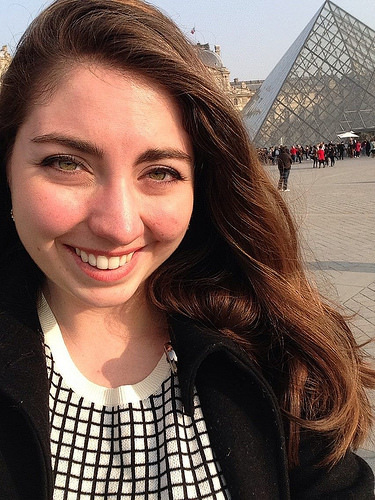 Read about Alexandra's experiences abroad in Paris. 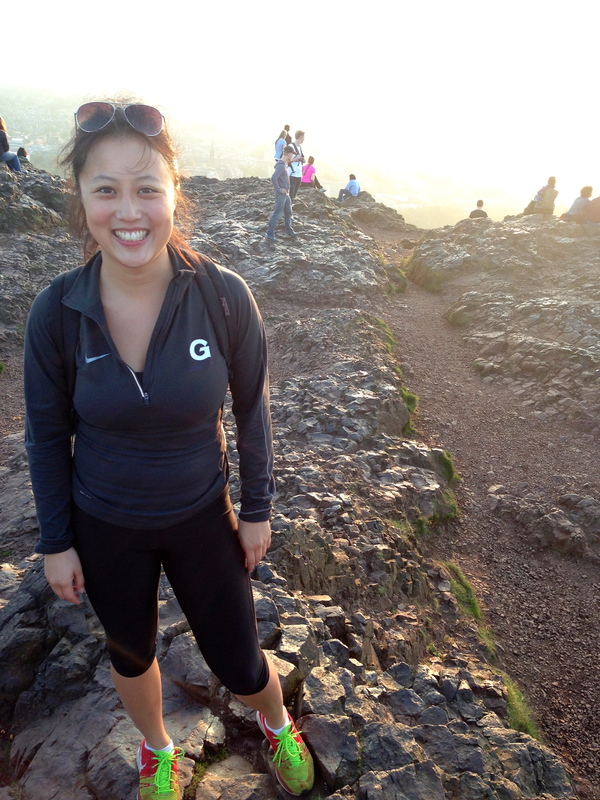 Read about Ngoc's experiences abroad in Madrid. 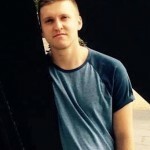 Read about Jamie's experiences abroad in Edinburgh. Read about Maria's experiences abroad in Buenos Aires. Read about Dwight's experiences abroad in London. Read about Nick's experiences abroad in Copenhagen. Read about Colleen's experiences abroad in Dublin. Read about Margaret's experiences abroad in Budapest. Read about Tess' experiences abroad in Cape Town. Read about Addison's experiences abroad in Santiago. Read about Daniel's experiences abroad in São Paulo. Read about Derek's experiences abroad in Munich. Read about Tom's experiences abroad in Paris. 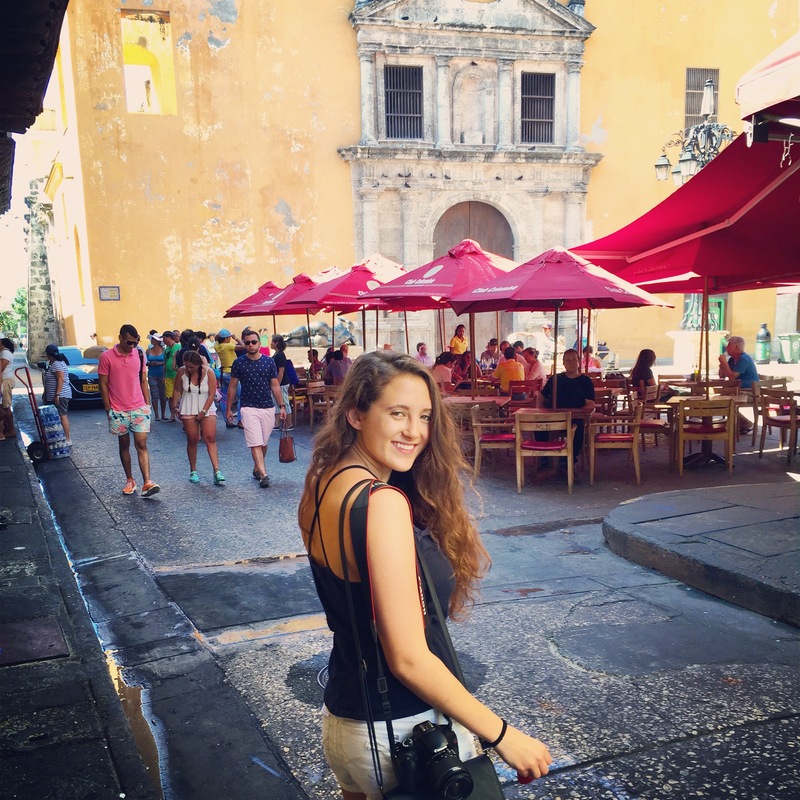 Read about Megan's experiences abroad in Mérida. Read about Lanier's experiences abroad in Nanjing. Read about Margaret's experiences abroad in St. Petersburg. Read about Wanda's experiences abroad in Rio de Janeiro. Read about Carolyn's experiences abroad in Paris. Read about Neyat's experiences abroad in Istanbul. Read about Alexandra's experiences abroad in Fiesole. Read about Erin's experiences abroad in Sydney. Read about Coral's experiences abroad in Khon Kaen. Read about Mary's experiences abroad in Paris. 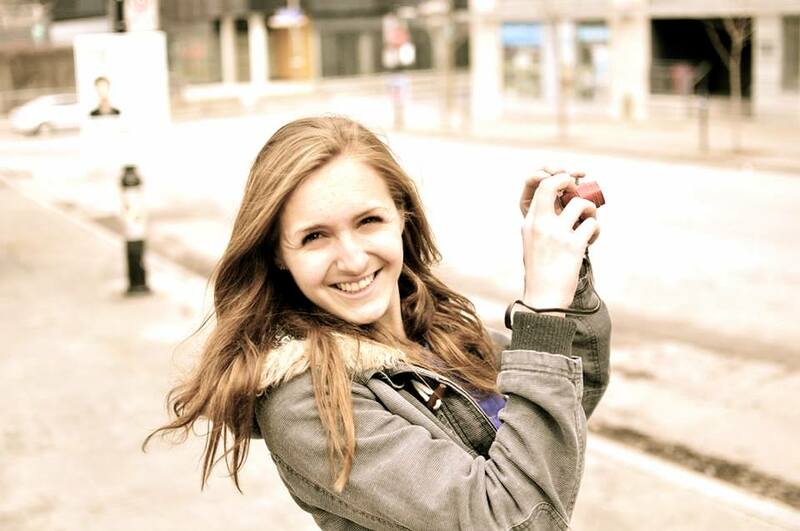 Read about Alexandra's experiences in Kraków. Read about Caitlin's experiences abroad in Amman. Read about Brooke's experiences abroad in Copenhagen. Read about Carolyn's experiences abroad in Dakar. Read about Neyat's experiences abroad in Legon. Read about Jake's experiences abroad in Buenos Aires. Read about Alanna's experiences abroad in Dublin. Read about Ivana's experiences abroad in Barcelona. 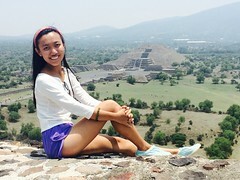 Read about Marisa's experiences abroad in Beijing. 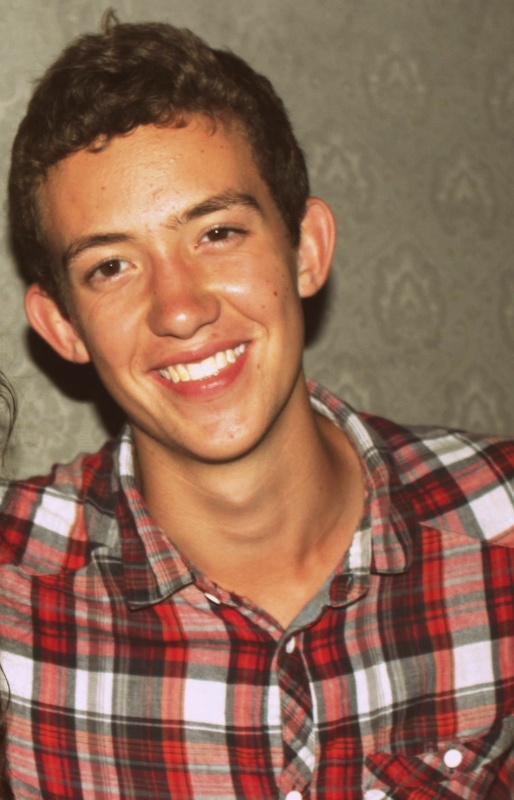 Read about Nicholas' experiences abroad in Stellenbosch. 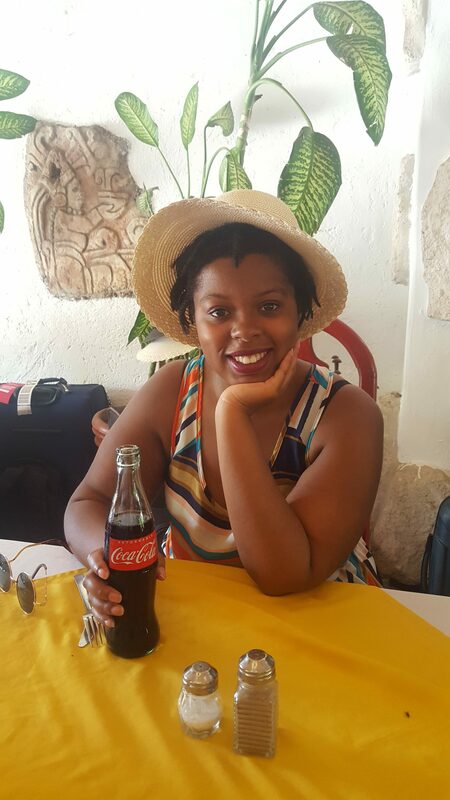 Read about Hope's experiences abroad in Fiesole. Read about Lane's experiences abroad in Seville. Read about Daria's experiences abroad in Oxford. Read about Cynthia's experiences abroad in Paris. Read about Rebecca's experiences abroad in Amman. Read about Arielle's experiences abroad in St. Petersburg. 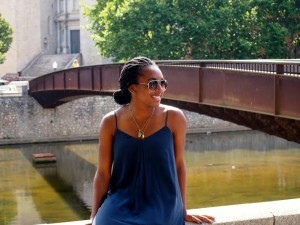 Read about Maria's experiences abroad in Salamanca. Read about Russell's experiences abroad in Beijing. Read about Katrina's experiences abroad in Dakar. Read about Wendy's experiences abroad in Santiago. Read about Daniel's experiences abroad in Cairo. Read about Kyle's experiences abroad in Dublin. Read about Jessica's experiences abroad in Oxford. Read about David's experiences abroad in Buenos Aires. Read about Kathryn's experiences abroad in Paris. Read about Jennifer's experiences abroad in Dakar. Read about Justine's experiences abroad in Tokyo. Read about Virginia's experiences abroad in Amman. Read about Chloe's experiences abroad in Alanya. Read about Gwendolyn's experiences abroad in Sydney. 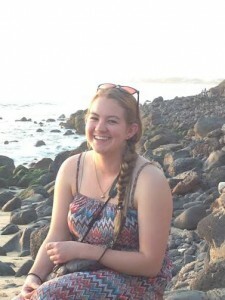 Read about Caitlin's experiences abroad in Dakar. 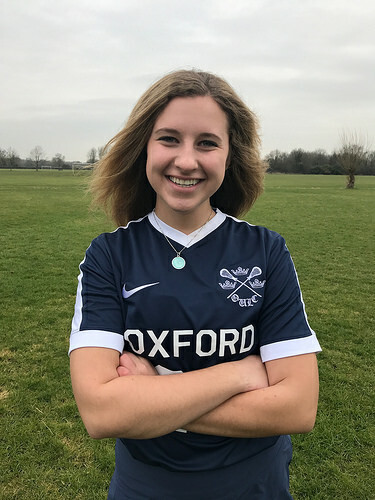 Read about Malin's experiences abroad in Oxford. Read about Victoria's travels in Valparaiso here. Read about Paige's travels in Rio de Janeiro here. Read about Caitlin's travels in Beijing here. Read about Clare's travels in Tokyo here. Read about Dominga's travels in Paris here. Read about Joseph's travels in London here. Read about Emily Dorff's travels in Prague here. Read about Heidi's travels in Alanya here. Read about Shira's travels in Prague here. Read about Samuel's travels in Cape Town here. Read about Loretta's travels in Santiago here. Read about Deion's travels in Rio de Janeiro here. 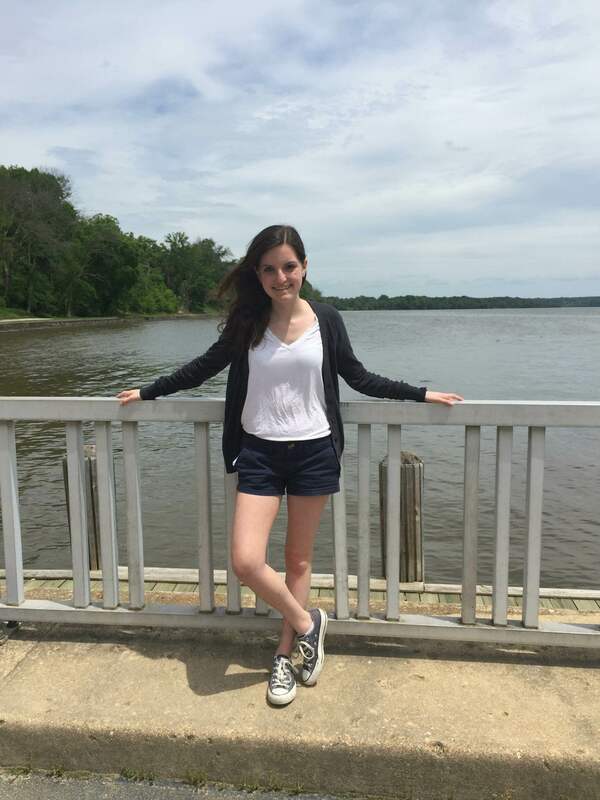 Madeline Budman is a junior in the College, majoring in English and double minoring in Jewish Civilization and Women's and Gender Studies. On campus, she is a tutor at the Writing Center, a sister of Delta Phi Epsilon Professional Foreign Service Sorority, an editor for Bossier Magazine, and an intern for the Jewish Chaplaincy. This spring, she is studying abroad at Hebrew University - Rothberg International School in Jerusalem, Israel, and will likely be found eating lots of shakshuka and fresh pomegranate juice at the shuk. 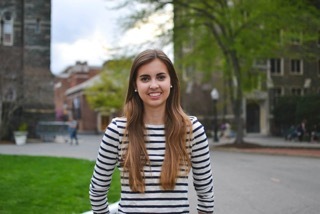 Katie is a Junior in the School of Foreign Service, studying abroad at Pontifical Catholic University of Rio de Janeiro. 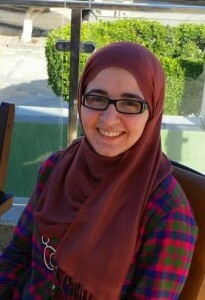 She studies Culture and Politics with a concentration in media, education and justice. 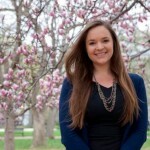 At Georgetown, she is a student leader in Chi Alpha Campus Ministry and works for the Office of Campus Ministry. She also is a GSPer and a professional dog walker. Katie is really excited to be studying abroad in Brazil this semester to learn more about her family's culture and become fluent in Portuguese. Alexis Larios is a Junior in the College studying English and Government. She will be studying abroad this Spring in Bath, England. On campus, she is a tutor at the Writing Center, a peer facilitator for A Different Dialogue, a music assistant for Campus Ministry, and is the co-chair of MEChA de Georgetown. In her "free" time, she enjoys eating ice cream and singing all of the lyrics to Hamilton. She is so excited to be in Bath this semester and to immerse herself in a new culture and meet new people. 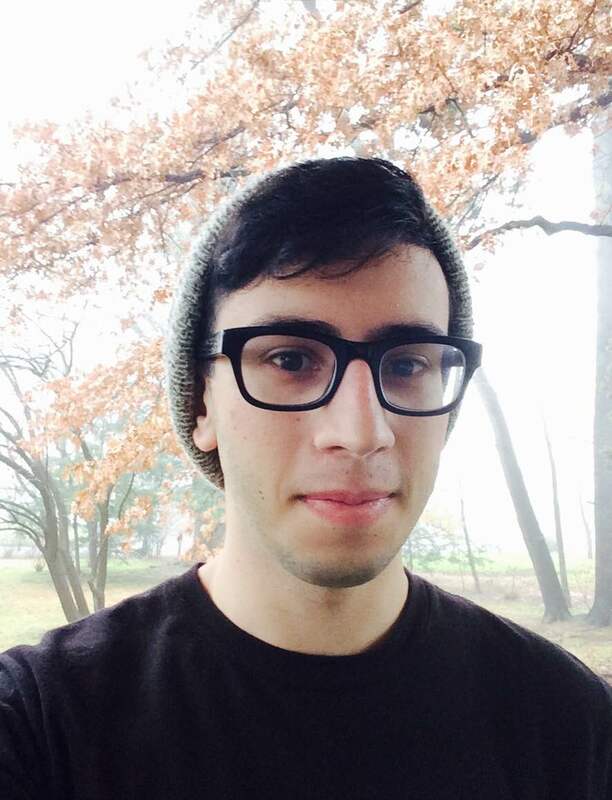 Dan Zager is a junior in the College is majoring in Justice and Peace Studies and minoring in Chemistry. He is proudly from Philadelphia, PA, and he hasn't (yet) broken a bone in his life. 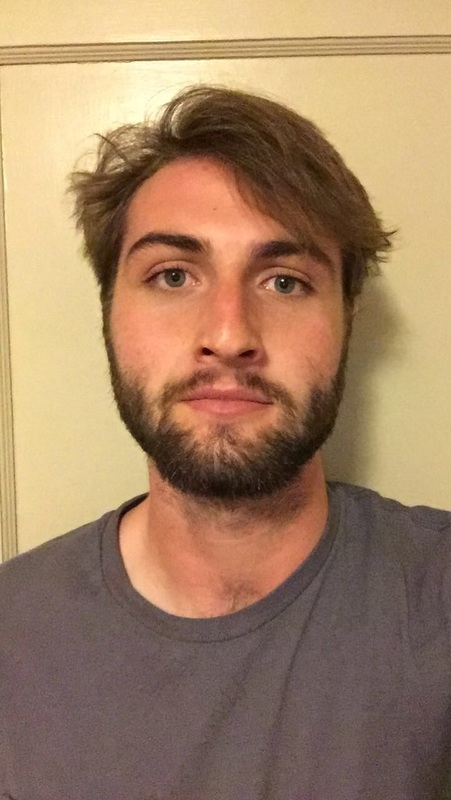 On campus, Dan organizes around labor justice with the Georgetown Solidarity Committee, serves as co-chair for programming in Prison Outreach, and facilitates dialogues about race with the Center for Multicultural Equity and Access. In Havana, Dan hopes to study Marxist philosophy as well as explore Afro-Cuban art. 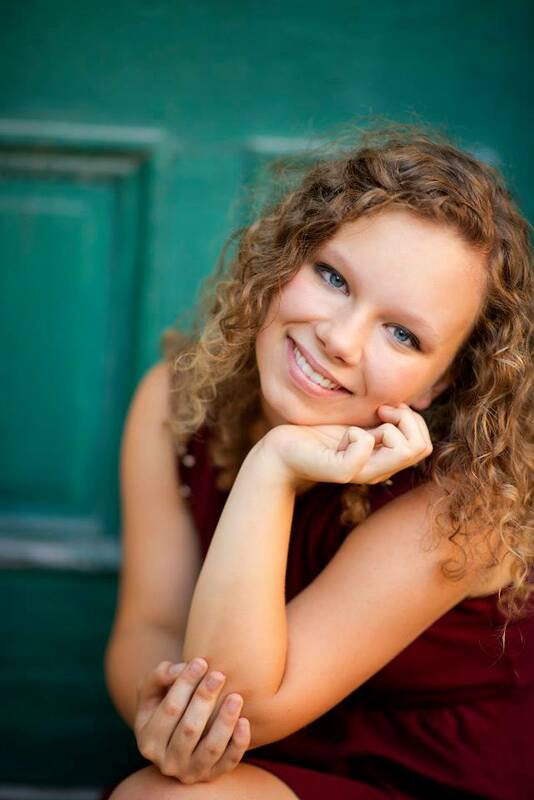 Samantha Macfarlane is a junior in the School of Foreign Service, majoring in Culture and Politics. She hopes her studies in 'cultural identity in international development' will land her a job working hands-on to help developing countries. She loves to be active and involved, but this year Samantha is taking a break from her packed interning-working-tutoring-step-team-captain life at Georgetown to drink tea in Africa - Morocco in the fall and Senegal in the spring. She is excited to work on her French proficiency and to return to DC with a few new languages under her belt (or at least the basic phrases)! Bardia Rahmani is a sophomore in the School of Foreign Service (SFS) majoring in Science, Technology, & International Affairs. His interest in foreign affairs and international security has lead him to work as a project leader for the Georgetown Global Microfinance Initiative and a research assistant for the Government Department at Georgetown. A reader and writer in his spare time, he hopes the city of Paris, which inspired Camus, Hemingway, and Fitzgerald, will get him to do some writing of his own. Or at least provide a nice backdrop for a semester of writer's block. Bardia has pent 20% of his life in London, 30% in Ithaca, NY, and 50% in Cleveland, OH. He is 100% Persian. Allie Canal (College '16) hails from the Philadelphia suburb, Cherry Hill, NJ, and is beyond excited to begin her adventure in Florence, Italy during the 2014 fall semester! 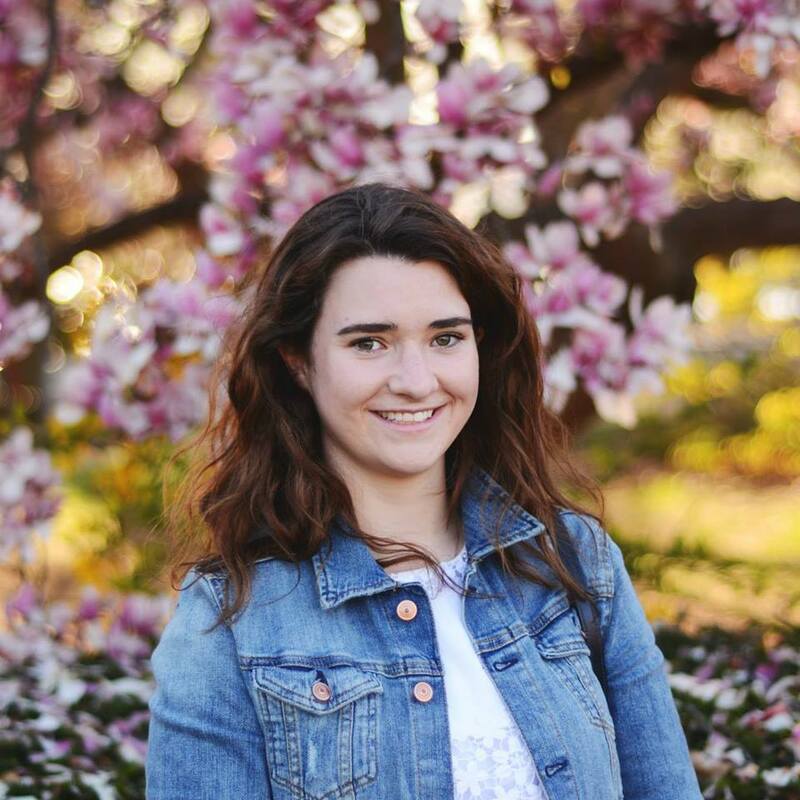 Majoring in English with a double minor in Journalism and Business Administration, Allie has been a senior writer for the online magazine, HerCampus Georgetown, and can't wait to continue blogging for OGE. When she's not hammering out a last minute paper, you can find her cheering on the Philadelphia Eagles or singing with the a cappella group, Superfood. While abroad, Allie hopes to fix Jersey's reputation with the Florentines (thank you Jersey Shore Season 4), eat a lot (A LOT) of pasta and pizza, and fully immerse herself in a culture that is so unlike her own. Hailing from the Chicago suburbs, Taylor is a junior in the College, pursing a Chinese major and an Economics and Theatre and Performance Studies double minor. She is the Co-Associate Producer of Georgetown's Black Theater Ensemble, and she primarily spends her spare time working on dramatic productions, both onstage and behind the scenes. She also enjoys rock music and epee fencing. She fell in love with learning foreign languages while studying French in high school, and has since become fascinated with Chinese language and culture. Taylor can't wait to explore Shanghai, and she's thrilled to have the opportunity to share her adventures with her friends, family, and readers of the OGE blog.